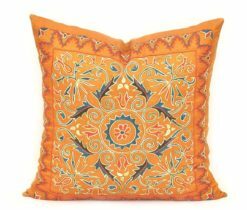 East is a delicate part of the world, where exclusive, author's suzani pillows will become a favorite thing, in an embrace with which it is pleasant to relax and dream. 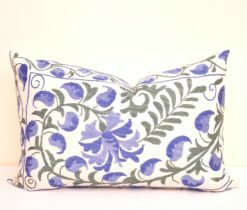 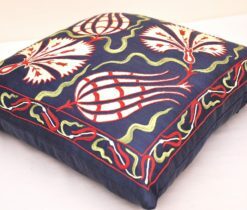 The pillow itself cannot have such an amazing response without having a pillow cover, because pillow cover adorns it and gives it a look and character. 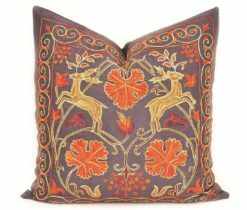 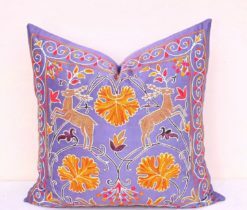 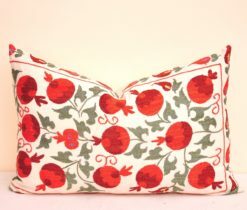 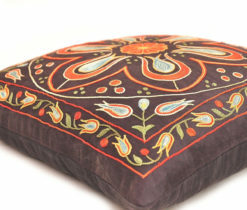 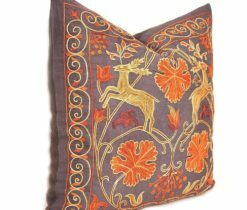 Pillow covers of various types, such as ikat, velvet, accent and others you can find on decorative pillows covers. 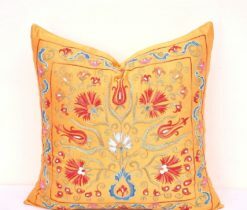 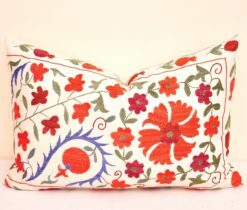 In this page you will find suzani and embroidered pillows, which can easily fill the space with harmony and luxury. 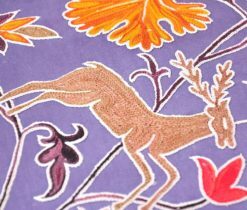 Among the most ancient arts of the East, a special place belongs to the skill of decorating fabrics. 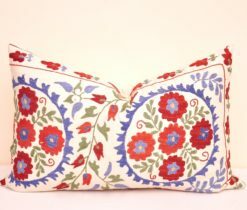 Suzani in the translation from the Persian "needle" is an embroidered panel, without which the Uzbek house is unthinkable, each canvas is unique. 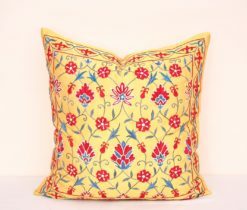 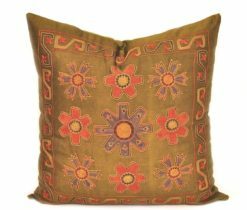 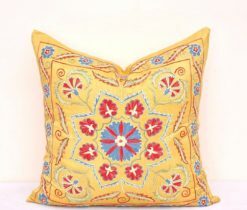 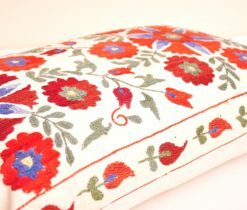 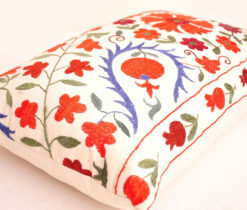 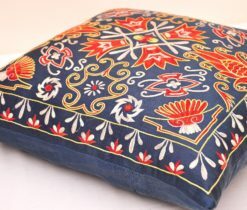 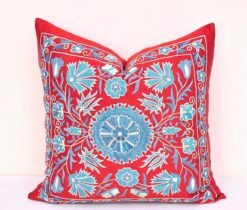 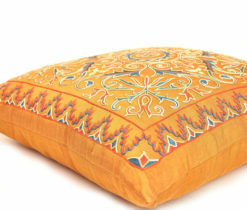 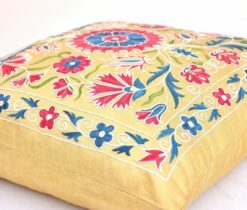 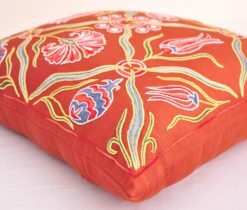 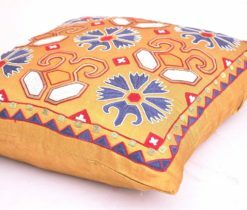 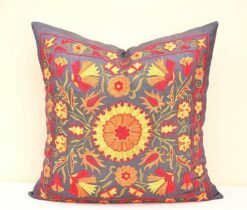 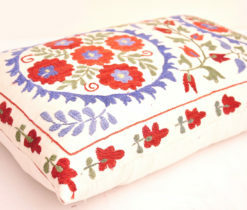 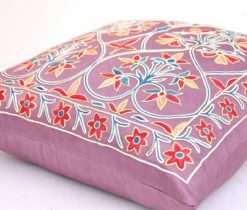 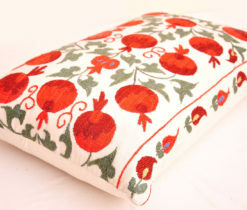 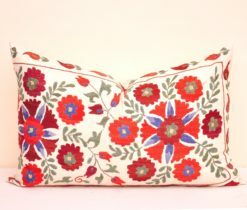 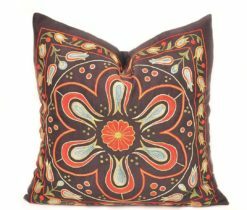 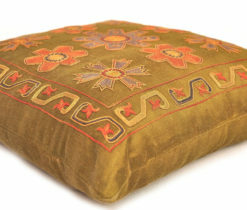 Suzani pillows – is a perfect gift for people who appreciate the subtle beauty. 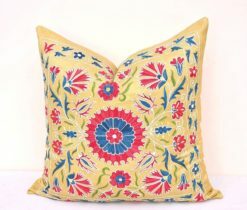 The multicolor of elegant suzani embroidery will bring a part of ancient art to your house. 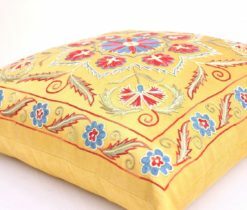 Along with this, here you will find an embroidered pillow, decorated with golden embroidery, in the east known as "zarduzi". 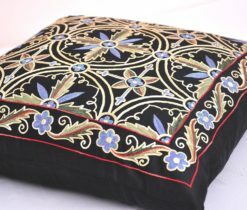 This art of embroidery originated in Bukhara city and has a centuries-old tradition. 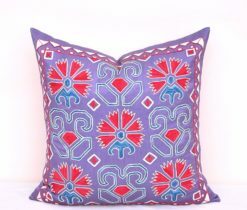 Embroided pillows carry not only beauty and originality, but also the preservation and continuation of the artistry of our ancestors. 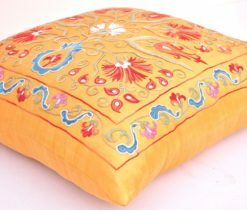 Today, decorative cushions have become a part of the interior. 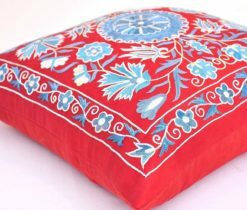 With their help you can not only make the room cozier, but also create the necessary atmosphere, for example, if you want a room in the oriental style, you definitely cannot make it without a lot of pads. 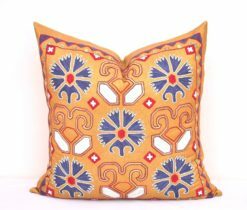 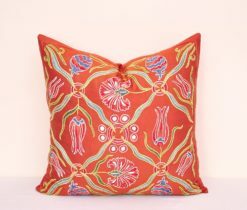 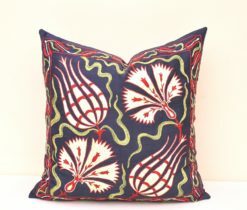 Decorative ikat pillows with a variety of their colors bring to your house a lot of light and brightness. 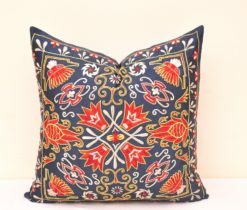 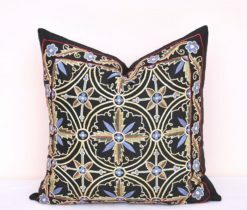 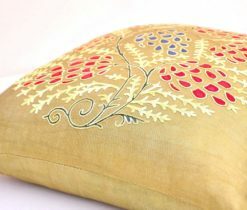 And also in our online shop can buy embroidered decorative pillows, which are designed for decorating the interior and furniture. 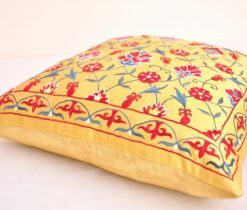 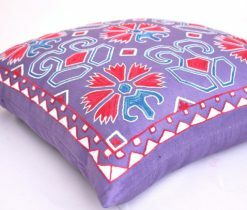 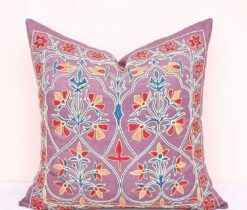 These pillows have different sizes and patterns, but they are all decorated with intricate patterns with smooth lines. 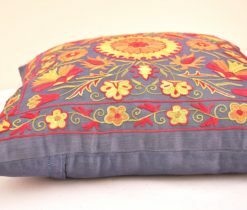 Choose a pillow that you liked more and then you will always feel comfortable at home. 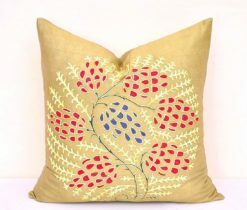 A recognized name for the exotic collection of Pillows & Cushion Covers. 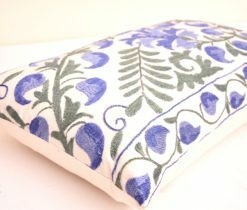 We have the perfect pillow and cushion for you.